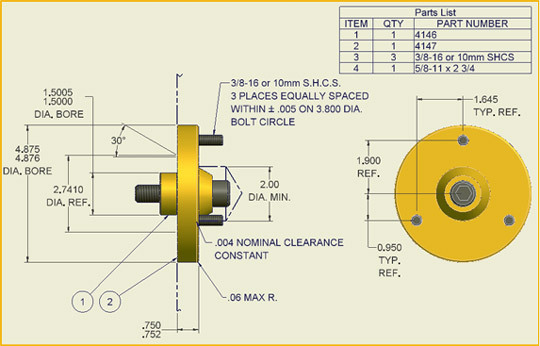 Die Locators | HMS Products Co.
HMS Die Locators are easily installed to facilitate quick die change. HMS Die Locators are made from premium tool steel to withstand the rigorous demands of tooling changeover in the pressroom. HMS Die Locators facilitate quick die change, a real plus to any stamping operation. HMS Die Locators are widely accepted by the international stamping industry. HMS Die Locators are easy to install and remove by die builders and press room operators. 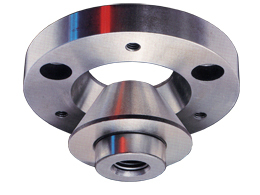 The cup portion is located on the die or master plate, while the cone portion is located on the bolster or subplate. Die Locators can be used to locate the die to the bolster or locate the master plate to the bolster. The conical shape of the die locator will shed contaminates.